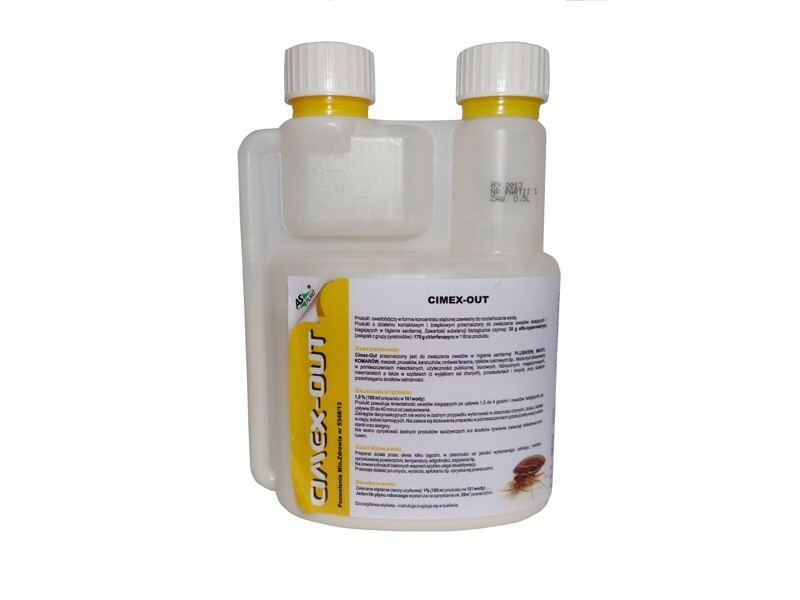 Cimex Out is a preparation designed to eliminate insects. It is especially efficient in elimination of bedbug (contact and stomach action). Liquid is in the form of a concentrate, to be diluted with water. Recommended concentration - 1,0% (100ml of the preparation in 10l of water). 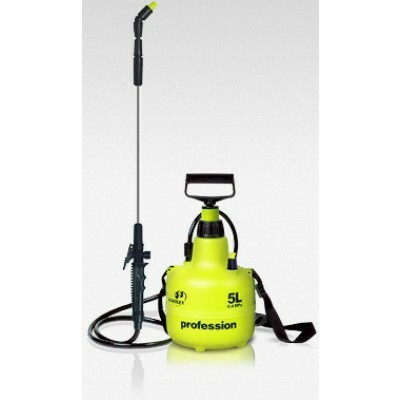 One liter of liquid is sufficient to spray approximately 20 m2 of the surface. Insecticide Cimex out is recommended for professional elimination of: bedbugs, flies, mosquitos, millipedes, silverfish, cockroaches, German cockroaches and other flying and crawling insects. Insecticide Cimex out is active for a few weeks, it depends on the quality of the operation and other conditions like: the type of the sprayed surface, temperature or humidity.